Adam and Jacinta are a young couple with two small boys who were originally from Tasmania and they have been working in the north Australian beef industry for the past 10 years. The clients have successfully built up their own cattle herd over recent years to just over 1,000 head, using agistment on a station out of Katherine as the basis for building their wealth. The clients attempted to kick started their entry into rural property ownership by negotiating the purchase of a property in August 2015. After knock backs from a couple of the banks they approached direct, the clients made contact with Robinson Sewell Partners (October 2015). The deal was freshly written up by Brad Sewell, and presented to a different panel of banks for consideration and after extensive negotiation, one of Australia’s major banks finally approved the loan to purchase the property in March 2016. All parties then focused on getting to settlement. Valuers, loan documents, contracts of sale etc followed. On the day the contracts of sale were to be executed, the clients received a message to say the vendor had received a higher offer which they were going to proceed with. After a short period of grieving the loss of their first property purchase, the husband jumped in his ute and spent the next 10 days inspecting every potentially affordable property in QLD. A very suitable, if not better purchase property was located, and all parties once again focused their attention on the finances, contracts of sale etc. Finally, on the 29th June 2016, settlement took place on the clients first rural property purchase. Now living out of a 40’ caravan located in a machinery shed, the clients couldn’t be happier. Their eldest son is enjoying school, and they have a great cattle property with lots of potential located not far from the QLD coast. Persistence, drive, and professional help finally secured the dream. 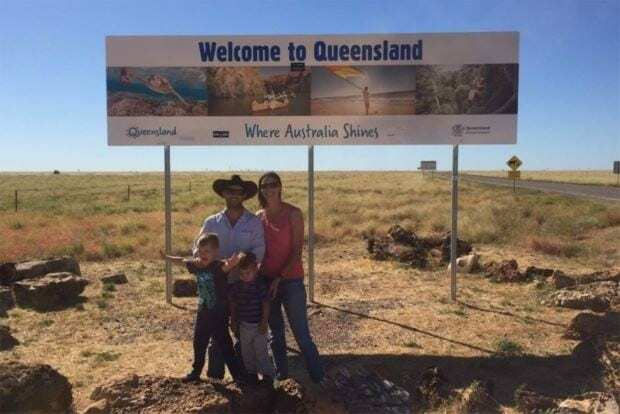 A 2016 Northern Territory Nuffield scholar has sold his cattle and moved his family to Queensland because he could not enter the strengthening Top End property market. Cattle stations have been selling for strong prices in 2016, on the back of record live export cattle prices. Adam Coffey managed Stapleton Station west of Katherine, then ran his herd of cattle on agisted land on the Sturt Plateau. After spending a long time looking for a pastoral property to buy in the Northern Territory, Mr Coffey and his family decided to buy a property in Queensland. “We are a small entrant, and obviously things are pretty big in the north,” he said. “We gave the tree a pretty good shake but couldn’t find anything that was small enough and economical enough for us to take on. Mr Coffey was agisting his cattle on Dixie Station, but said it was not suitable for the long term. “[Agisting cattle] got us to where we needed to be, but we felt it wasn’t a sustainable base for [our] business,” he said. Mr Coffey said he had mixed feelings about selling his cattle herd. “A lot of our cattle were bought on the back of the [live export] ban when things were a bit down and out, so we bought pretty well and sold pretty well accordingly,” he said. “It was a hard decision to make. We looked at trucking cattle across to the east but the export market is steaming along, so it is a pretty hard argument when you are looking at high value cattle. The Coffey family has bought a cattle property near Miriam Vale, between Rockhampton and Bundaberg near the Queensland coast. After living in northern Australia for the past 11 years, Mr Coffey said leaving was a difficult decision. “I think we will always look back on it as the best times of our lives,” he said. “It has been fantastic to us in terms of building our wealth and kicking some goals in terms of our business.